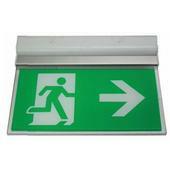 The Razor LED Emergency Lighting range from Channel comprises a range of LED emergency exit signs offer an ultra slim design that can be hanging, recessed, flush mounted, wall mounted or ceiling mounted. 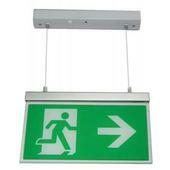 They are three hour, maintained with a life expectancy of up to 30,000 hours. 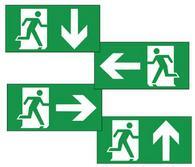 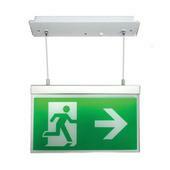 Signs in this range are supplied with an 'up' arrow with other pictograms readily available. 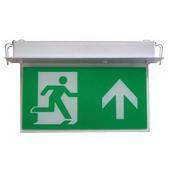 Their sleek and unobtrusive design with comprehensive mounting options makes the Channel Razor range a popular choice.